The month of February brings with it thoughts of love and romance as we celebrate Valentine’s Day. Valentine’s Day has its origins in ancient Roman traditions as well as early Christian legends. In the modern world, this special day is a time for gifts, flowers, cards, and reminding your special someone that you love them. If you are looking for a unique way to express your love, you might consider using your GPS and your favorite mapping application. Aspiring Romeos around the world have been employing their GPS tools in order to give a voice to their valentines. 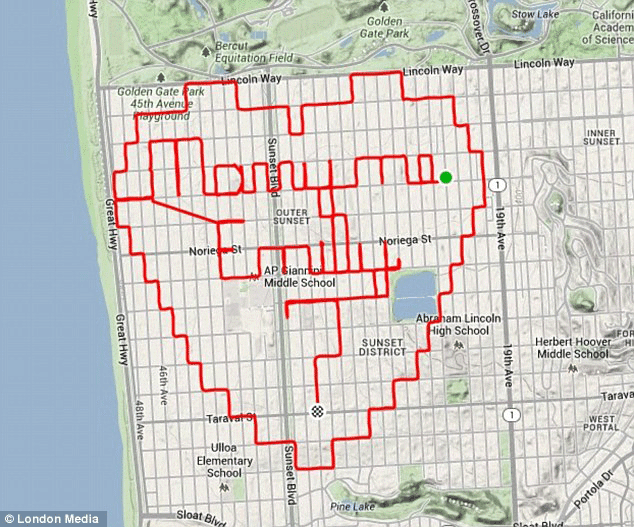 In 2013, Payam Rajabi decided to show how much he cared about his girlfriend, Clare, by carefully etching a heart shape onto a city map of San Francisco using his iPhone and bike. By tracking himself with his GPS while he rode, Payam inscribed his message of love while covering 27 miles and burning over 1100 calories in 2 ½ hours. Payam and Clare were in a long-distance relationship ever since he had to move from Toronto to San Francisco. Of course, Payam had to include an elevation map of his ride, demonstrating the depth of his love as he pumped over the many hills of San Francisco. Rajabi got more out of his ordeal than just the admiration of Clare, however. He was ultimately featured in a short commercial from Verizon. His ride inspired other romantic gestures. The Verizon commercial encouraged a man named Gary to take the idea one step further and propose to his girlfriend, Lorinda, via a GPS message using the popular Endomondo fitness application. Gary had wanted to propose for her birthday and spent a couple weeks scouting the local area for the perfect spot. The original idea was to run the route but he went with his bike instead. In the end, Gary took the afternoon off work, rode the proposal workout, and met his girlfriend for dinner. While the two were together, Gary shared that he had gone for a bike ride and asked Lorinda to look at his ride by sharing the link to his workout. The map spelled out “Lorinda, will you marry me?” After the initial surprise, her response was, “of course” which she then mapped out herself using her own GPS. Endomondo is not the only mapping application that has been used to propose geographically. Murphy Mack also used his bike to map out the words “marry me Emily” using Strava, a free software that cyclists like to record their routes, elevation, and speed. Like Payam, Mack rode out his proposal on the streets of San Francisco. His route covered 18 miles, took 80 minutes, and burned about 750 calories. Mack not only proposed but surrounded the words with a heart. 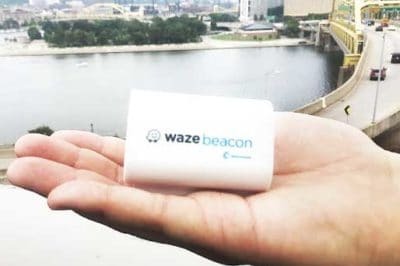 While Murphy’s proposal takes Payam’s heart to another level, the ultimate GPS tracking gesture of love might belong to the Japanese artist Yasushi Takahashi, also known as Yassan. In 2010, Yassan journeyed across the entire country in order to propose to his girlfriend. During the six months it took him, Yassan covered over 7,100 kilometers (about 4400 miles) mostly by walking but also using a car, bicycle, and ferry. When Yassan arrived back at home, he plotted his route onto Google Maps, spelling out “marry me” over the large island of Honshu and a heart with an arrow through it over Hokkaido. Yassan’s marriage proposal has been certified by the Guinness Book of the World Records as the world’s largest GPS drawing. His journey was also featured in an ad campaign and a documentary series by Hi-Tec, a producer of hiking boots and shoes called Walkumentary. 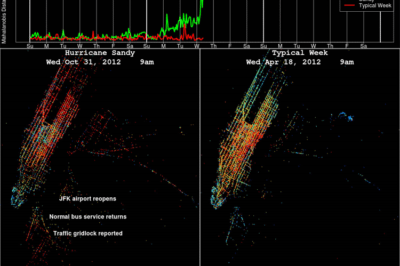 Generating artistic drawings using GPS tracking devices goes far beyond just messages of love for Valentine’s Day, however. Yassan quit his job in 2008 to pursue his passion for large-scale GPS images. Some of his other creations have included his own name, the words “still the one,” and drawings of mascots. In 2014, Jeremy Wood drove over 10,000 miles across the United Kingdom to draw a GPS image for Halloween. The picture included a pumpkin in a witch’s hat, a spider web, ghosts and bats with the word “Halloween” underneath.